Ceiling fan Borneo Satin Nickel with Light 106cm / 42" Ceiling fans for domestic and professional environments Ceiling fans with lights 100 - 119 cm / 40" - 47"
LEDS C4 Ceiling fan Borneo Satin Nickel with Lighting 106.6cm / 42"
An elegant, glossy, tear-shaped housing with a semi-gloss nickel finish and an integrated ceiling light are what characterise this version of the Borneo ceiling fan. 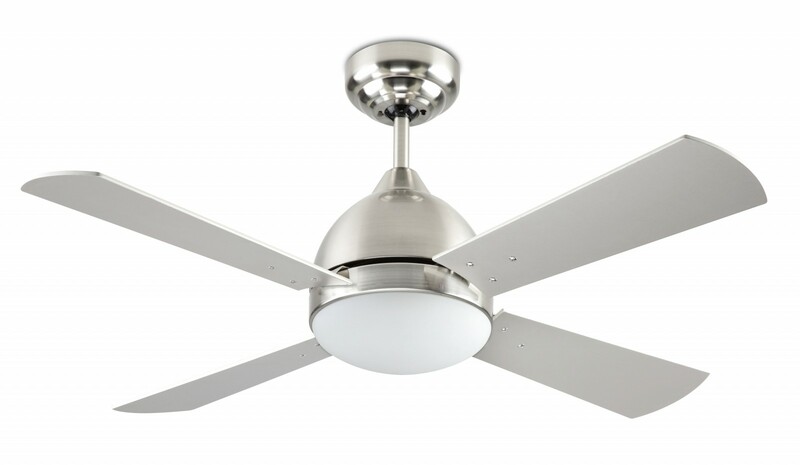 On the inside of the fan housing a low volume top-quality motor can be found whose rotation speed can be regulated with a remote control that is included in the delivery. 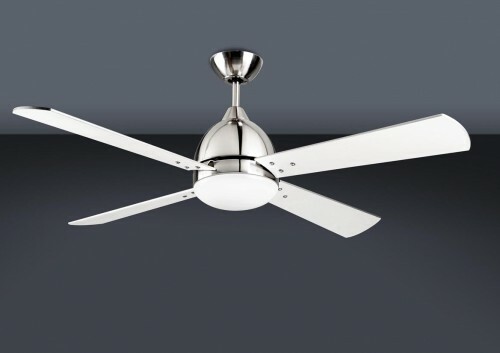 If required the motion direction of the 4 reversible blades with dual look can be changed. 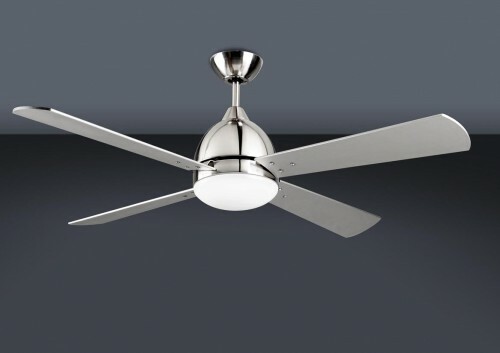 This makes the ceiling fan not only an eyecatcher, but also a stylish ventilation system for your premises. 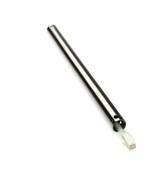 Total height: 39cm / 15.4"
Diameter motor housing: 23cm / 9"
The luminaire is suitable for illuminants of energy class A++ - E! 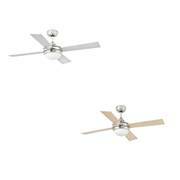 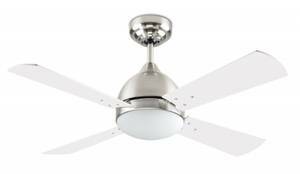 Ceiling fan Borneo White with Light 106cm / 42"
Ceiling fan light MINI ICARIA Nickel 107 cm / 42"